On Wednesday, April 19 BTC announced their three-year commitment to support the “top” five Bahamas Carnival bands. This action came after the threat of a possible postponement of Carnival the Bahamas National Festivals Commission only two weeks earlier. 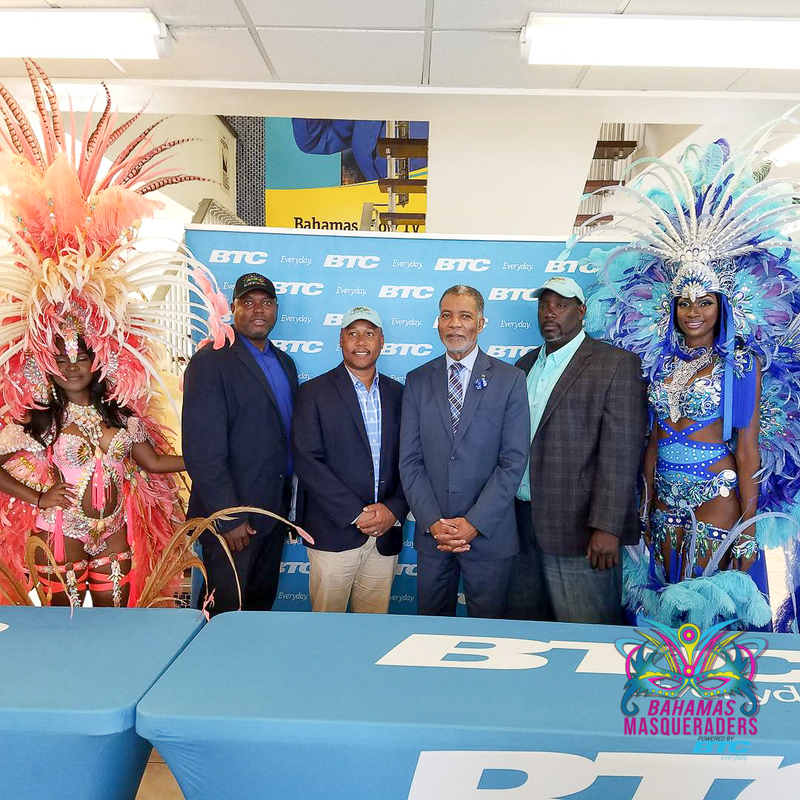 BTC (The Bahamas Telecommunications Company ) has made an $850,000 investment in the success of the Bahamas Carnival Bands and has renewed its one Million dollar investment in Bahamas Junkanoo Carnival. Friday, April 21 at the weekly Soca Sampla, Bahamas Masqueraders along with its new partner, BTC will unveil the new Bahamas Masqueraders logo, the BTC inspired costume line and other incentives for our mas band supporters.